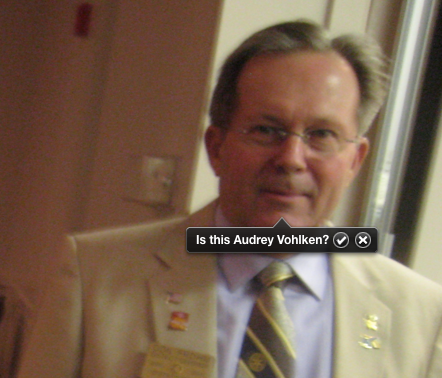 As I add more photos to iPhoto, it seems to get better at recognizing real-life people. It helps that most of the portraits I take are of a small group of friends, or of myself, like above. Even on photos with multiple people, iPhoto does a decent job. 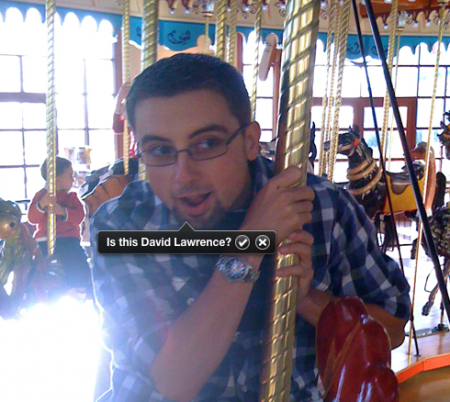 Where it really shines is in pure face recognition – flagging faces of people I don’t even know. It’s kind of magical, the way iPhoto operates. But oh man, when it gets faces wrong? Hilarious. 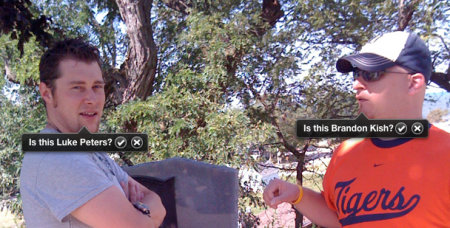 Thanks for the entertainment, iPhoto. Posted by davelawrence8 at 6:55 am on November 29th, 2010. No comments... » Categories: software. Tags: facial recognition, ilife, iphoto. Subscribe via RSS. Welcome to Newton Poetry, a weblog about the pioneering PDA, Apple's Newton MessagePad, and how it interfaces with the modern Mac world. Newton Poetry is written by Dave Lawrence.